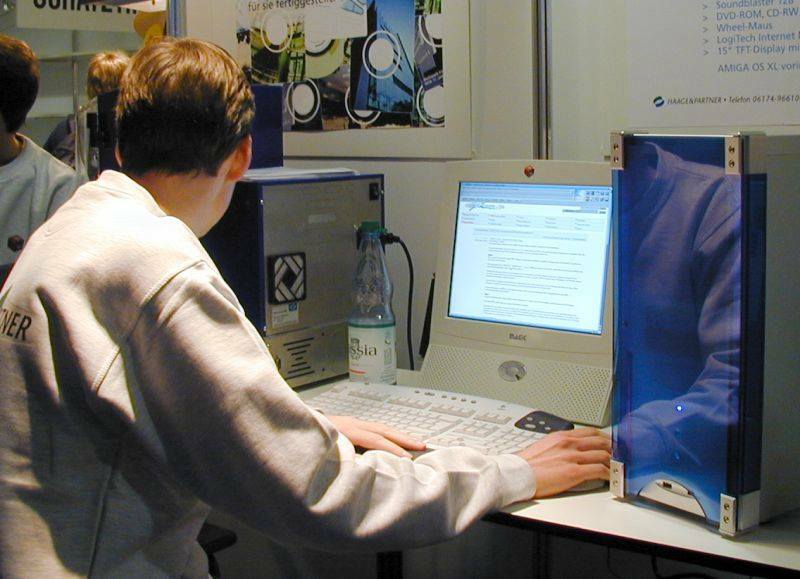 In the early 2000’s Haage & Partner commissioned 2 software engineers Bernd Meyer and Harold Frank. 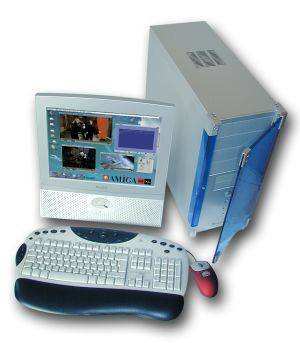 The goal was to secure the survival of the Amiga from uncertain death on the X86 platform. What is Amithlon and how did it ended up being the biggest legal debacles of the Amiga scene? It’s a Linux and latter QNX kernel based emulator. The beauty of Amithlon comes from the fact that the software had direct hardware access and custom chip emulation disabled the Amithlon outperformed the almighty A4000. 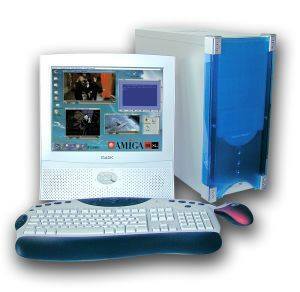 Haage & Partner was developing Amiga Os 3.9 at the time. So it was natural that Amithlon got upgraded to 3.9 along with tree Haage & Partner software packages, Amiga Writer and ArtFx. Amithlon also had two extras that are mouse and Wacom yes you heard that right Wacom support. Amithlon was the serious developer s software suite rather than the emulator of the everyday amiga gamer. However good software needs good hardware. This is where Haage & Partner comes in with some jaw-dropping prebuilt computers of the time jawdroppinly expesive that is. There where two main lines of these x86 Amiga clones the H&P line and the Extreme line. The H&P line is consisted of 4 machines. 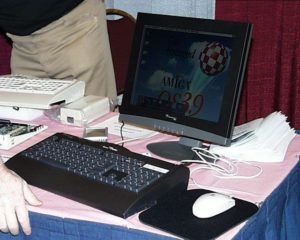 The Extreme computers line had 2 machines the all in one Amiga XL Ex and the X1200. Amithlon was great at it’s hayad the problem is that the everyday hardware we used to run it became outdated like the VIA KT 233 chipset boards or Nforce 2 boards. In 2006 a freelancer dev by the name of Garry Colvile created a Kernel patch to fix many issues. 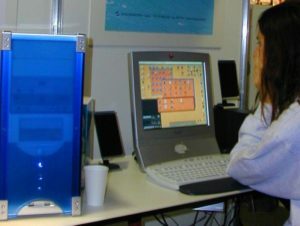 In 2010 an enterprising developer named Milan Milosavjevic produced an updated Amithlon Kernel to support newer hardware. In the early hours of March 9th, Melbourne time, I received an email from Amiga Inc, In which Amiga Inc informed me that they considered the distribution of AmigaOS XL to be in violation of their intellectual property rights and thus illegal. 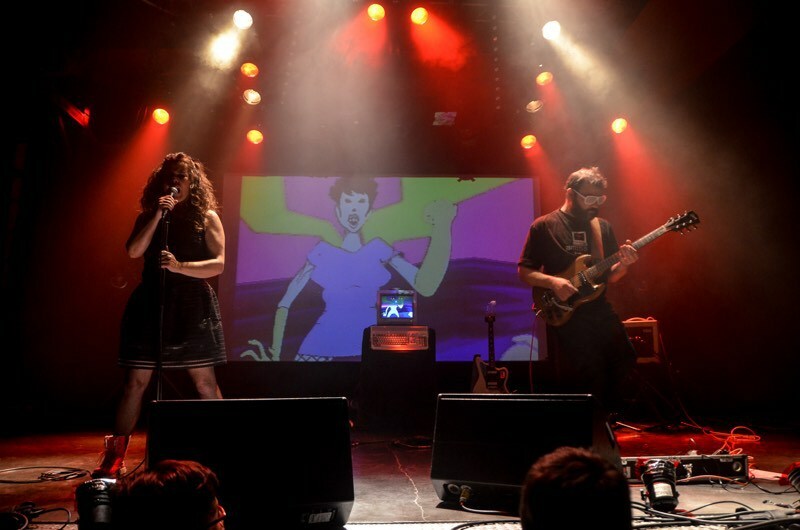 The details of their third party intellectual property claim were such that they related, among other parts of AmigaOS XL, to the Amiga IP embedded in the file “isolinux/bigird.gz” on the AmigaOS XL CD. have provided under the contract. The file “isolinux/bigird.gz” was provided by me to Haage & Partner, and was included on the AmigaOS XL CD unchanged. such licenses was the main, if not the only reason H&P was chosen as the distribution partner. Until I was informed by Amiga Inc of their different view of the situation, I had no doubt that Amithlon, as distributed as part of AmigaOS XL, was a fully licensed product. Thank you for reading my first article i had a great time investigating and compiling all that you reed here, i hope to build my own machine someday soon , Matthew Newcastle.